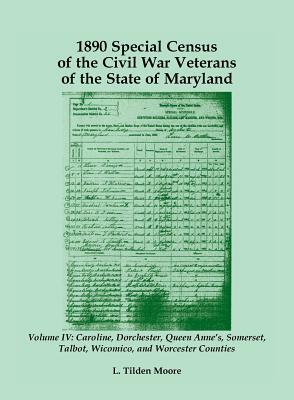 Based on the author's personal collection of original Civil War documents and letters, this volume provides a unique look at the people throughout Maryland who answered the government's call for volunteer recruits in the summer of 1861. Part I is a discussion of the origins of the Brigade, its organization, the process of recruitment, the regimental officers and company commanders. This section includes a listing of the actions in which each of the regiments participated. Part II contains facsimiles of letters of soldiers who served in the Potomac Home Brigade, with exact transcriptions on the facing pages. The original handwriting can be read by the ambitious decipherer, or one can refer to the corresponding translation. This is the first time these letters have been published. Part III enhances the letters by offering additional collateral letters, documents, diary entries and contemporary newspaper articles found in various archives and collections. Many of these are also being published for the first time. Part IV is a series of biographical sketches of those writers of the letters in the author's collection on whom information is available. Also included are sketches of the principal persons mentioned. Photographs and inventories of some of the soldiers' personal effects add interest to this section. Part V is a comprehensive listing of each person who initially volunteered to serve in the Potomac Home Brigade. They are listed alphabetically by regiment and company. Each person's rank and date of mustering in is also listed. Those interested in determining if an ancestor was one who "answered the call" will find this section a valuable aid in their genealogical research. In the Afterword the author discusses significant lessons to be learned by the perusal of these documents. He also relates some very interesting stories of his journeys in Maryland, Pennsylvania and Washington, D.C. in search of materials for his research. A bibliography followed by source notes is provided at the end of the volume. This book breaks new ground in the history of the Civil War in Maryland specifically, and the study of the war in general. Reading the original letters and documents provides the general reader with a unique opportunity to know the thoughts of those who lived during that momentous period of time.